Great course, clubhouse and facilities well worth a visit at a great price too ?? Really nice layout - picturesque and in great shape. Again encountered fabulous staff from the welcome to the pro shop to the bar cart ... A-1 all the way. Course was in good shape, a fair test and enjoyable at every turn. We WILL be back here ! If you have played PGA Golf Club Ryder Course, we would like to hear from you. 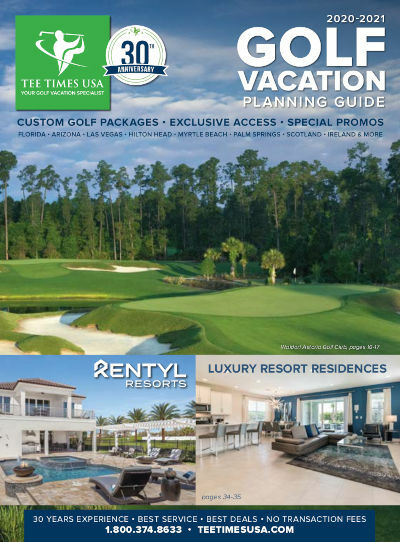 Be sure to experience PGA Village in Port St. Lucie, named one of the 75 Best Golf Resorts by Golf Digest. The PGA golf experience offers impeccable service, immaculate greens and incredible golf. These core-style layouts wrap golfers in 430 acres of wildlife sanctuary and offer one of Florida's most outstanding golf challenges. Greens on each course are impeccable and feature champion Ultra-Dwarf grass which is denser and more durable and provides a truer putting surface. Each course has its own distinct design, style and feel. At the 35-acre PGA Center for Golf Learning and Performance golf instruction and practice park, you can focus on each aspect of your game with top PGA Professionals. The facility includes more than 100 full-swing practice stations, 9 bunkers that simulate play, pitching and chipping practice areas, 7,000 sq. ft. USGA putting greens and much more. Designed by Tom Fazio, the Ryder Course offers rolling hills, majestic pine trees and challenging water hazards, all which help to create a distinctive Carolina-feel. With various hole locations and variety from long par 5s to sporty par 3s, you could play this course every day and find a different layout. Golf Digest rates the Ryder Course in the top 50 in the United States for best value.